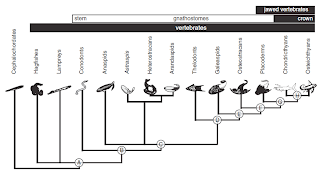 Walter Garstang famously said that ontogeny creates phylogeny: you need to understand the development of a structure to understand the diversity of that structure across species. There are a few different ways to change the way a structure is put together. Research on the development of limbs has tended to view morphological changes as being caused by changing boundaries that delineate different regions of the embryo. If you want a bigger forebrain, shift the boundary between the forebrain and the midbrain backward. Neurobiologists, however, have sometimes suggested that brains differ due to the amount and duration of neurogenesis that goes on during development. If you want a bigger forebrain, make neurons for a longer time in the forebrain than in the midbrain. A new paper by Sylvester and colleagues tries to look at the relative importance of these two developmental mechanisms in brain evolution. To do this, they looked at the brains of cichlid fishes. Cichlids are renowned among evolutionary biologists for their diversity and the speed at which it was achieved, and this diversity extends to their brain morphology. 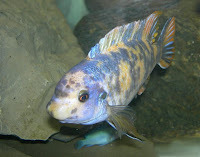 They chose six species to study; Cynotilapia afra and Copadichromis borleyi are shown here (click to enlarge). The former is a mbuna, a rock-dwelling fish, and the latter is a sand-dweller; the authors had three species of each. The brains of the mbuna and non-mbuna differ in their proportions: the mbuna have smaller forebrains (strictly speaking, purists would say the telencephalon) than the non-mbuna. 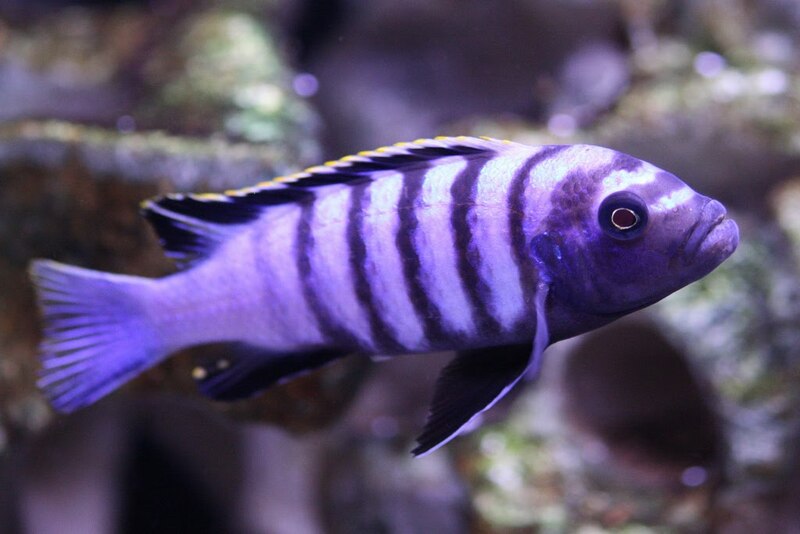 Sylvester and colleagues visualized the cichlid brains using several that are well-known to be involved in development, like sonic hedgehog (shh), and Wnt and found that the pattern of expression of these did indeed differ in these species, typically following the mbuna / non-mbuna split. To test whether these genes caused the differences in brain sizes, the authors exposed embryos of the mbuna species Labeotropheus fuelleborni (right) to lithium chloride, which affects the Wnt pathway. When they did this, they found that the L. fuelleborni brains were looking rather more like non-mbuna brains, which proportionately larger telencephalons. Sylvester and company argue that this suggests the very early expression of genes that lay out patterns in the nervous system are key regulators of brain evolution. Considering that they sort of set up timing of neurogenesis as an alternate hypothesis in their introduction, however, it’s worth pointing out that they didn’t actually measure neurogenesis or try to manipulate it in a manner similar to what they did for these patterning genes and proteins. It’s possible that neurogenesis is playing a role in shaping diversity of brains in other ways than tested here. Additional: The journal is publishing a commentary on this paper. While the original article is open access, the commentary, alas, is not. Photo of Cynotilapia afra by Calwhiz on FLickr; photo of Labeotropheus fuelleborni by Lee Nachtigal on Flickr; photo of Copadichromis borleyi by Petrichor on Flickr. All used under a Creative Commons license. What do global warming, ocean acidification, and KO’d crayfish have in common? Carbon dioxide. A forthcoming paper by Biewbower and Cooper caught my eye because it incidentally supports a contention in the last paper I co-authored on crustacean nociception (Puri & Faulkes 2010). We couldn’t find any evidence that crustaceans responded to acids. The new paper isn’t actually interested in acids; it’s all about what carbon dioxide does to crayfish. 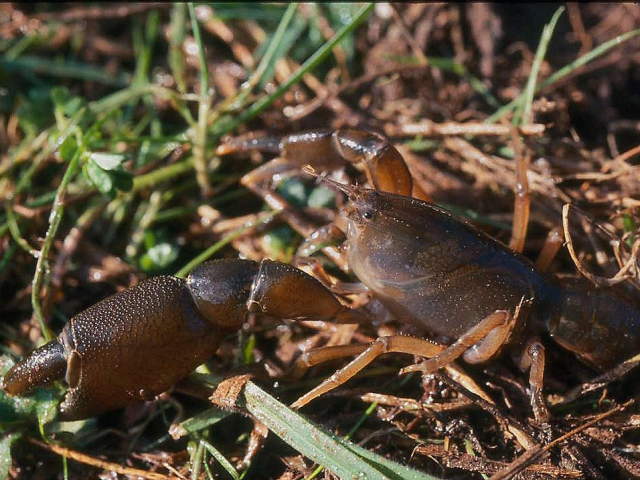 The first question is, can crayfish detect changes in carbon dioxide concentrations at all? 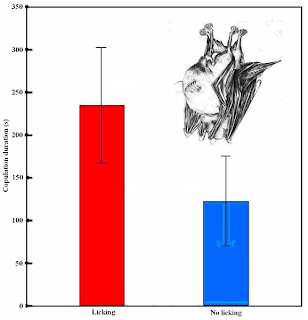 The authors ran crayfish through a Y-maze: one arm with high CO2 concentrations, and one without. The higher the carbon dioxide concentrations, the more the crayfish tended to avoid that end of the maze, suggesting that yes, the crayfish can detect carbon dioxide in water. They also found that when placed in a pool containing high levels of carbon dioxide, crayfish would leave the water to cross in the air to a chamber with lower levels. Another possible interpretation is that the crayfish aren’t detecting carbon dioxide in these experiments, but a lack of oxygen. It could also be low pH. 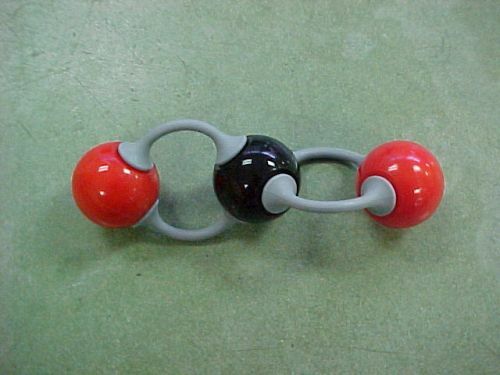 When you ramp up the concentration of carbon dioxide in water, create carbonic acid. This is why burning fossil fuels is leading to ocean acidification. Crayfish could have avoided the end of the maze because they detected the low oxygen or low pH rather than the carbon dioxide specifically. Consequently, they created two control conditions in addition to regular water. First, they created a low-oxygen water by bubbling nitrogen through it. Crayfish did not discriminate between the nitrogen laden water and the regular water. Second, they made one end of the Y maze with normal CO2 concentrations, but acidic pH; about 4.85. And the crayfish walked right into it. No difference between the regular water and the acidic. 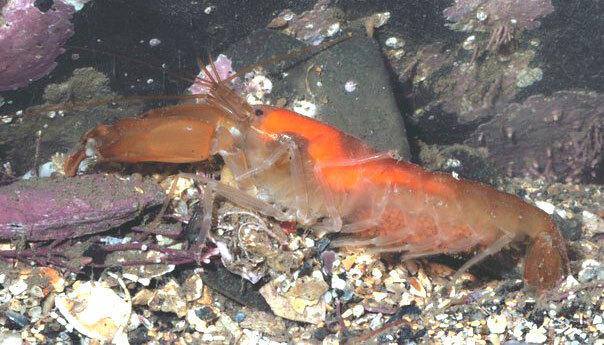 So their study supports ours: decapod crustaceans seem to be mostly ignorant of changes in pH. Another interpretation might be that the animals are responding to low oxygen; to control for that, the authors also had a control condition with very high nitrogen concentrations in the water, which lowered oxygen, and again, the crayfish didn’t distinguish between that and regular water. Bierbower and Cooper also found that at high concentrations, carbon dioxide does a number on the crayfish, effectively putting them out of action stopping their heart and ventilation (“breathing,” more or less). Why are crayfish repelled by high levels of carbon dioxide? Not clear. Bierbower and Cooper suggest that high levels of carbon dioxide might be a cue that an environment is toxic. That said, these are swamp crayfish (Procambarus clarkii), and they probably have a pretty high tolerance for low quality water. It would be interesting to see if crayfish that favour highly oxygenated streams might be more sensitive to carbon dioxide concentrations. While very interesting to me because of its relevance to a story I’ve been working on (crustacean nociception), this paper might have limited interest to others. Both the introduction and discussion are very general, and don’t convey a strong sense of where this fits into a broader research picture. Although I’ve heard the common refrain from faculty that some members of a search committee do look for quality, I wonder how many of them have actually read any of the papers from the job candidates. And if that assessment of quality is based on the journal’s impact factor or the faculty member's own assessment of the candidate's science? 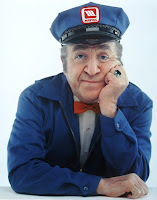 Speaking just for me as a search committee member, I haven’t read papers by job applicants. First, it takes more time than I’m willing to give, and we tend not to have the problem of triple digit numbers of job applications. Second, we are routinely hiring outside of areas that I am qualified to judge the technical proficiencies of the science. Heck, in many cases, we’re get applications from people whose science I almost literally do not understand at all. I judge the research of job applicants largely by the number of publications, the titles of their articles, and their research statement, and yes, there’s a tiny little bit of journal “quality.” Taken together, those provide an overview of the kind of research someone is doing, and the questions they are asking. Journal “quality” based on a very general perception. I don’t look up impact factors. More often, there’s someone on the search committee who knows about the journals people have published in, and weighs in with, “That’s a good, solid, international journal,” or, “Not so good.” Journal titles can reveal a lot about their scope, so you probably don’t want to publish in the Chinese Journal of Irreproducible Crap. What about the whispers that a job applicant must have a “SNC” (Science, Nature, Cell) paper to be competitive? Obviously, a Science or Nature paper is a nearly universally known entity, so it helps, but it has never been a determining factor in our searches, or even a large factor. A consistent record in strong disciplinary journals has worked for us. But you know what’s worse than me not reading the papers of our tenure track job candidates? I rarely even read the papers of my own friends. I know about the science of people in my department, or the ones I hang out with at conferences from talking to them in the hallways, not from reading their papers front to back. I don’t read them for a lot of the same reasons I don’t read papers from job candidates: takes a lot of time, their research is far afield from mine, and I have other ways of learning what they’re doing. I suppose the thing that makes it okay is that I know that they don’t read mine, either. I received the following email from Roberto Di Lauro, president of Stazione Zoologica Anton Dohrn. The Stazione Zoologica Anton Dohrn of Naples is at risk of being closed by the Italian Government. If you agree in signing the petition reported below, please go to http://www.szn.it click on "sign the petition" and fill in the form. 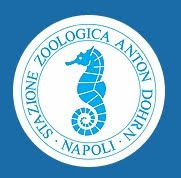 We learned that the Stazione Zoologica Anton Dohrn di Napoli will be suppressed according to the Decree-Law adopting urgent measures on financial stabilization and economic competitiveness, that the Italian Government is in the process of final approval. The Stazione Zoologica, founded 130 years ago by Anton Dohrn, is among the most prestigious Italian Research Institutes. 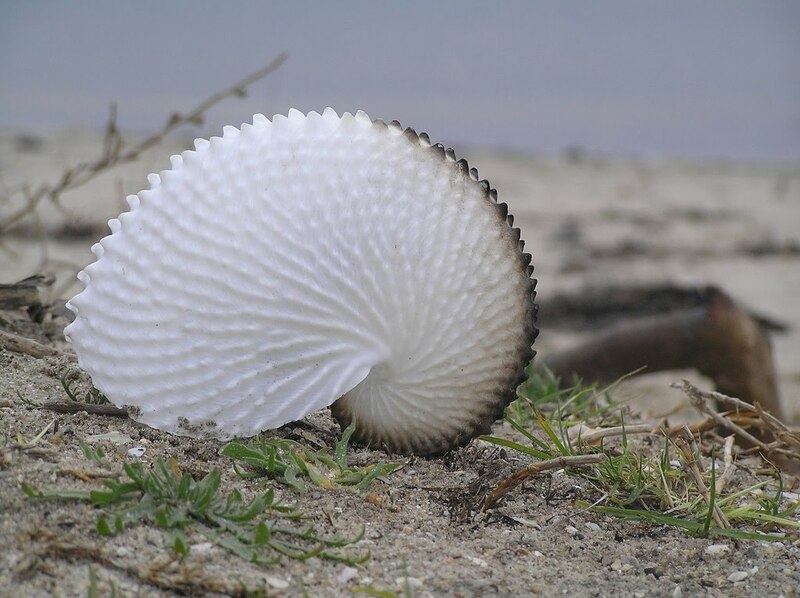 It acts in the field of marine biological research and is known for the multidisciplinary nature of its activities and for the excellent scientific output. Current research activities, international and national collaborations, exchanges with scientists of different nationalities, and participation in numerous scientific projects in Europe and worldwide are a clear sign of the nature of the Stazione as an international research institution. The Stazione Zoologica coordinates the project EMBRC, the only European infrastructure in the biomedical sciences coordinated by an Italian Institution and involving 14 institutions from seven European countries. The EMBRC project is a clear testimony of how the international spirit of the Institute is still alive and present. Active participation of distinguished scientists, including three Nobel Laureates, as members of the Scientific Council of the Stazione is another demonstration of the relevance of the Institution among the international scientific community. We manifest our serious concern for the suppression of the Stazione Zoologica, which would greatly reduce the impact of the Italian presence in the international scientific community. We therefore ask that the Stazione is maintained as an autonomous structure. It is the autonomy, uniqueness, diversity and freedom of research that allowed the Stazione Zoologica to reach its present level of excellence in science and will continue to be among the flagships of the Italian research in the world. I know, I know. Even I’m getting tired of me fisking Texas State Board of Education members when they say dubious things about the teaching of evolution. But for a change, this time it’s not Don McLeroy! Instead, it’s Ken Mercer (pictured), who is interviewed as part of his re-election campaign in District 5. What is your position on the teaching of evolution? I get upset when the newspapers say we put religion in the textbooks. It’s a lie. I challenge every editorial board to go online—the standards are online—and find religion in astronomy, chemistry, biology. It is not there. What I have read repeatedly is that State Board of Education’s relentless copy-editing of the standards is religiously motivated. I wonder if Mercer would dispute this. I doubt anyone can build a serious case that things like removing references to the estimated age of the universe were done for secular reasons. I firmly believe kids in America have the right to raise their hands in the classroom and ask honest questions. I was rather shocked that the opposition didn’t want that. It wasn’t just evolution; it was global warming. I was shocked that in America if you’re either for or against those things, the biggest thing is they didn’t want kids to raise their hands and ask honest questions. Sounds fair-minded. Who will object to students asking questions? The act of asking leading questions to influence your audience, then hiding behind the defense that they’re “Just Asking Questions," even when the underlying assumptions are completely insane. Second, Mercer skillfully creates the impression that the previous standards did not allow students to ask questions. But that’s not what standards do. Standards are intended to specify content, not the process in a classroom. And no standards ever could specify what students can or can’t ask. I’m just surprised that he didn’t also say the new Texas education standards help support the troops. 3 Quarks Daily has started nominations for their second science blogging contest. If you’ve read something you’ve liked on any science blog, consider nominating it. There’s not many perks for blogging, and a little recognition in the form of a nomination goes a long way. My university’s news page has a story on a lecture capture system called Tegrity today that features some quotes from me. A new report from the National Bureau of Economic Research argues that science policy is breaking. Reasons? Science is being done by larger and larger teams of older and older people who know less and less. The Chronicle of Higher Education has more commentary on this report. Institutions such as government grant agencies, the patent office, the science education system, and the Nobel Prize come under a unified focus in this paper. In all cases, the question is how these institutions can change. Until someone is able to revive Alfred Nobel *, and get him to change his will **, we’re pretty much stuck with the prizes as they are now. Reforming the Nobel prize is rather pointless, As the professionalization of science and the increase in the number of people working in science means that the Nobel prize just isn’t a real goal for the vast majority of workings scientists out there. We have much bigger problems. 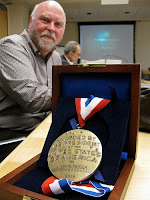 This constant obsession with the Nobel prizes is unhealthy. * And if anyone could do that, they’d probably get the Nobel prize. ** And if you do change the will, Al, a prize for biology would make a lot of sense. This week’s picture of a burrowing crayfish, Engaeus granulatus, is inspired by a recent radio essay by Susan Lawler, which talks about her adventures working with (or, mor accurately, trying to dig up) members of this genus. You can read a transcript here, but do yourself a favour and listen to the audio, if for no other reason than to hear her imitate the past president of the International Association of Astacology. I’m considering this because of this quote in the Chronicle of Higher Education, reporting on the Texas K-12 social studies standards. 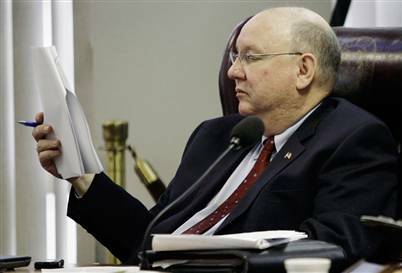 David Bradley, a Republican from Beaumont, made no secret of his distrust of college professors. “We’ve done our job, but once these students step out of 12th grade, they’ll be thrown to the wolves,” he told reporters after the vote. Good news, Mr. Bradley! Thanks to your board’s hard work, fewer students than now are likely to graduate from university, so our corrupting influence will be minimized! And Pegasus is looking pretty gray, too. My home country, Canada, decided to try to recruit senior, world-class scientists. And that’s good. Through the Canada Excellence Research Chairs program, they got nineteen people to agree to pull up stakes move to Canadian universities and work there. That’s good. All nineteen are men. That’s a scandal. There’s not another way to put it. Not just for the agency, but for our discipline worldwide. It's interesting, they're trying to find Nobel quality people, right? If you look at the history of the Nobel prizes, it's very interesting there, and I'm sure a lot has to do with two things: with more women going into different areas, but also with women’s work being recognized. You know, early on, Marie Curie won two Nobel prizes, right? Rosalind Franklin never did, because Watson and Crick took her research and they became famous for the double helix, but it was her work. Rosalind Franklin died from cancer in 1958, and the Nobel Prize for the discovery of DNA structure was not awarded until 1962 (which Watson and Crick shared with Maurice Wilkins). 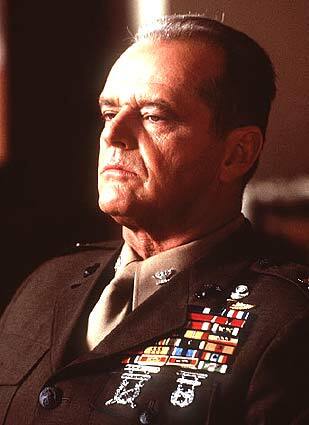 The Nobel prize rules forbids posthumous awards, so Franklin could not have won the Nobel Prize. Whether she might have won it had she lived is anyone’s guess. Much has been written about Franklin’s treatment by her colleagues, and there’s every reason to think much of it was unfair. Nevertheless, it’s wrong to say she didn’t win the Nobel prize because of it. More comment by Canadian science show host Bob McDonald. Additional: The Current revisits Rosalind Franklin’s legacy, with an interview with Brenda Maddox, who wrote the biography Rosalind Franklin, The Dark Lady of DNA. It’s pretty simple: it’s just a tape deck with a USB interface and a bit of software. The software “EZ Audio Converter” is pretty simple, which is both blessing and curse. There’s about one important option for recording: automatically separate tracks or not. It does a fairly good job of recognizing tracks for basic rock and roll songs, but not great for things like spoken word recordings. sometimes you have to go in and use another audio editor to split tracks. You can’t pick the audio format (you will get mp3 and you will like it! ), no fiddling with equalizer settings, and it assumes you have iTunes software. 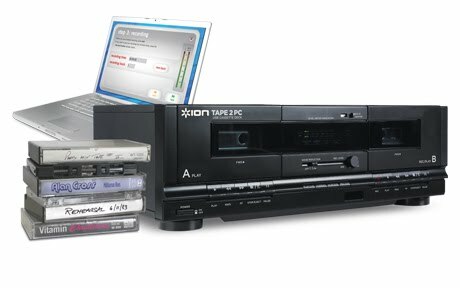 There are other ways of converting cassettes to digital audio files, but some of them require you still have a tape deck, and I imagine a lot of people got rid of theirs sometime around the turn of the century. This one is nice because it’s a all in one package. I also have a USB turntable for digitising vinyl from the same manufacturer. I haven’t used it yet, because it requires more table space, and I haven’t found a place to put it. I have gotten spoiled, though, by ripping CDs. You can rip a 70 minute CD in a few moments, but with tapes and vinyl, you have to play the whole thing through at regular time... It’s also fun to look at some of the graphics, particularly for cassette singles (which were short lived, ephemeral things). It’s nice to get back some music that I thought I’d never hear again. 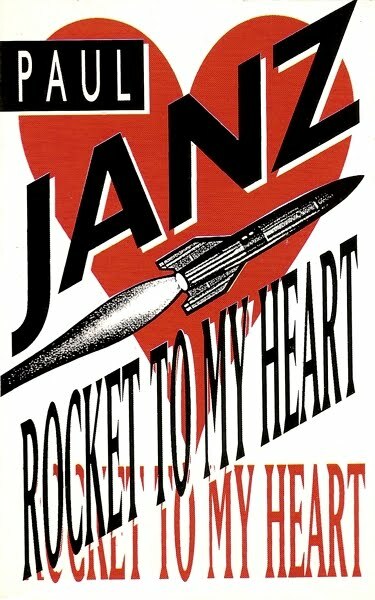 Obscure Canadian pop from the heyday of MuchMusic or The Q. Except maybe in a dodgy YouTube video that you can’t put on an first gen iPod nano. I said yes, for academic scientists, who I have had the most opportunities to observe. I don’t know if some of these things are as true for scientists who work outside of the traditional university system. 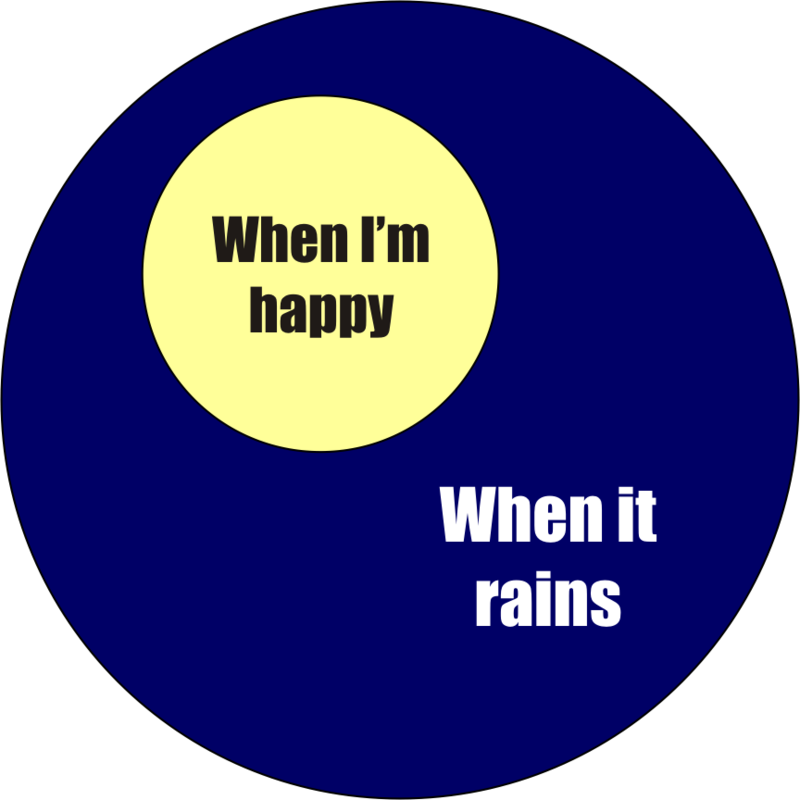 Here are a few thoughts on why scientific careers might contribute to a feeling of loneliness. The entire educational and career structure is very centered on individual achievement. You don’t get a doctorate for a group effort; it represents an individual’s unique contribution to the scientific discipline. The number of academic positions in a field is typically small. This means that for much of your early career, you have to move often far away, often frequently. While I personally found there to be great opportunities in living in other places, there is definitely potential for terrible isolation when moving to a new location. And even when the moving stops, scientists might end up in locations far from what they consider home, and may experience cultural isolation. Major decisions about your career success are made by anonymous strangers far from you, namely people who peer review your grants and publications. You can’t meet them, talk to them, or have conversations with them. Indeed, most people’s main ally in the fight against loneliness is a supportive partner. But academia’s response to husbands, wives, and partners is summed up by the phrase, “two body problem.” Yes, the emphasis is deliberate. When you have an oblique phrase like that, which most academics know, it’s a strong indicator that academia is not friendly to partners. Jason pointed out that other professions work long hours. This is true, but in other jobs, people know what you do. The idea of grad student trying to explain their thesis research to mom and dad is a recurring joke (here’s one). A scientist might be in a department where she is the only one with the knowledge to seriously tackle a problem. A plant physiologist is probably not going to be able to get help from the virologist colleague down the hall on a research problem, even though they may be good colleagues. And while the online science community can be very helpful, there’s still nothing like hallway collaborations. When you can get them. So are all us scientists social orphans? No. But all these aspects of academic science makes the career indifferent to hostile to people’s abilities to form social relationships. Additional: This post on Academic Ecology discusses the reality of being a spousal “accommodation,” as such things are often euphemistically known. More additional: The World’s Fair asks how people respond when you say you’re a scientist in this post; see the discussion, too. 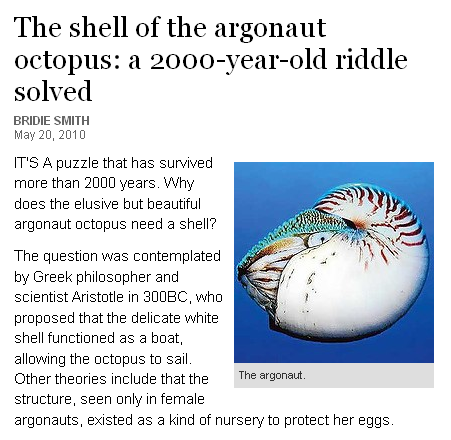 There’s a very cool story about argonaut octopuses making the news wire rounds, arising from this new paper. Summaries of this exciting science can be found at Not Exactly Rocket Science and New Scientist. It’s like reporting the results of a horse race with a picture of donkey. Additional: Wow! It got fixed! Go go mob of angry cephalopod fans! And now there’s video, too! Argonaut shell from mrpbps on Flickr. 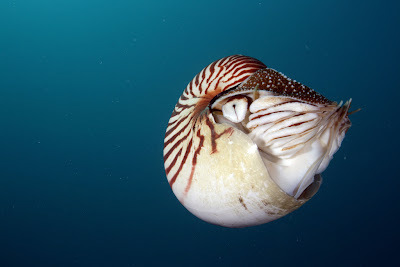 Nautilus from PacificKlaus on Flickr. Both are used under a Creative Commons license. Snapping shrimp (Alpheus macrocheles). Picture from here. Today is the start of my favourite time of the year here. Classes and finals are done. Summer session classes don’t start for a few weeks. And even when summer classes start again, there’s not the usual load of other “stuff” going on to distract and split up time. I suppose the time between the end of fall and the beginning of spring semesters also have some elements of that, but it’s not quite the same. The weather is a bit nicer now, sometimes. And there’s none of the franticness that sometimes accompanies the winter solstice. I have been chugging away for the last week or so to get some new data. Some of it will go into a conference abstract that’s due today. I have several manuscripts that are near completion, and should be pushed out the door fairly fast. The last time I did this, back in December / January, has already given me two journal articles and a couple of smaller pieces to show for it. Here’s hoping I can repeat that success over the next couple of weeks. Even so, I do have a surprising amount of administrative stuff on my calendar for this being a slow time, though. Heck, I have six meetings this week already. 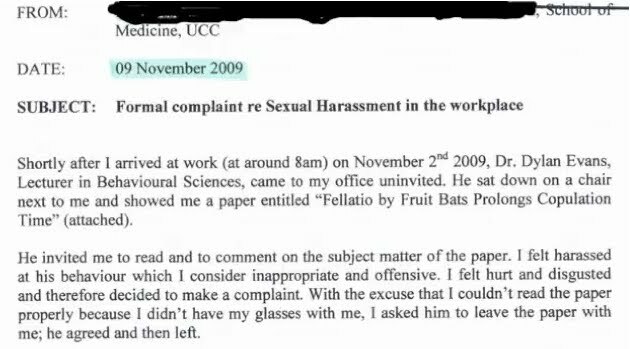 Dylan Evans has put up a YouTube video with some of the documents related to what is now being tagged, inevitably, “Fruitbatgate.” See yesterday’s post on this. The video is nice, but a bit hard to read, so I’ve taken the liberty of making some screen grabs (click to enlarge). 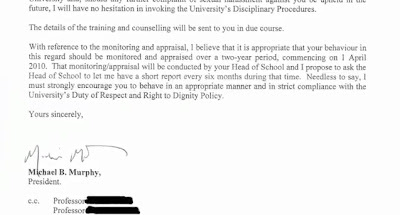 President Murphy has no hesitation in disciplining Dr. Evans. 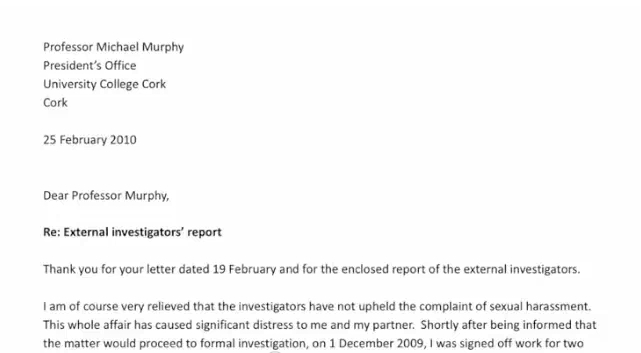 Additional: Demurelemur has links to the original complaint. Clearly, the issue is more complicated than it first appears, as most interpersonal matters leading to harassment claims are. 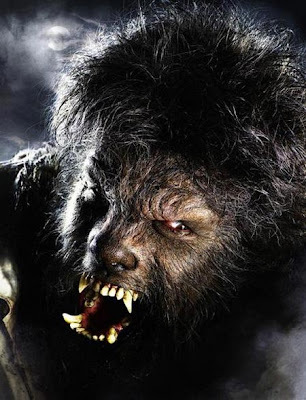 Even more additional: Dr. Evans has made several more comments on the Pharyngula blog; search for comments by “evansd66#3f76d”. Yet more additional: Bumping the link to the full set of letters from the comments to the main post. Dr. Becca asked for a montage. I obliged. Dylan Evans is in trouble for discussing animal behaviour. 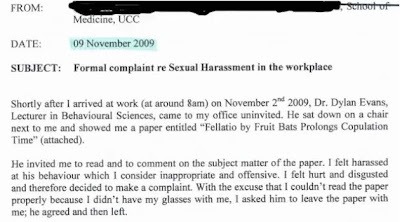 Several websites, including Pharyngula, Richard Dawkins’s site, and the Huffington Post are running a letter that Dr. Evans wrote describing how he is being sanctioned for showing an article about bat copulation to a colleague. I had been engaged in an ongoing debate with the colleague in question about the relevance of evolutionary biology to human behaviour, and in particular about the dubiousness of many claims for human uniqueness. I showed it the colleague in the context of this discussion, and in the presence of a third person. I also showed the article to over a dozen other colleagues on the same day, none of whom objected. HR launched a formal investigation. 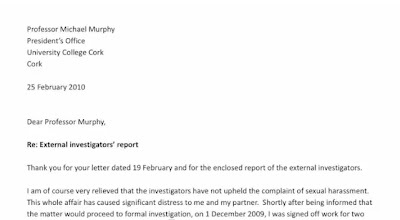 Despite the fact that external investigators concluded that I was not guilty of harassment, Professor Murphy has imposed a two-year period of intensive monitoring and counselling on me, and as a result my application for tenure is likely to be denied. Now, it’s easy to make jokes about this. (“I’m guessing it was those tawdry error bars that Dr. Evans’s colleague found so upsetting!”) And I’m a reluctant to advocate for a side in a harassment case, because I don’t know the other party’s version of events. But if the university’s Human Resources department found nothing wrong... why is the President of the institution getting involved? Additional: The Digital Cuttlefish scores an immediate nomination for Open Lab 2009 for writing all this in verse! There’s a very interesting article in Time magazine about education and experimentation. It describes the efforts of economist Roland Fryer, Jr., to test whether there are ways to pay kids who do well in school. Now, given that I’ve been reading, and occasionally blogging, about how financial incentives backfire, I was surprised to read that there seems to be some potential in this scheme. But I was even more surprised, and heartened, by the forthright scientific approach taken. Hat tip to the Heath Brothers blog, who point out another interesting thing that the article brings up: we often assume people know how to work on a problem when they don’t. Not quite the Dunning-Kruger effect, but perhaps related. Hollywood is looking for original ideas. Given a sufficiently liberal definition of “original,” that is. 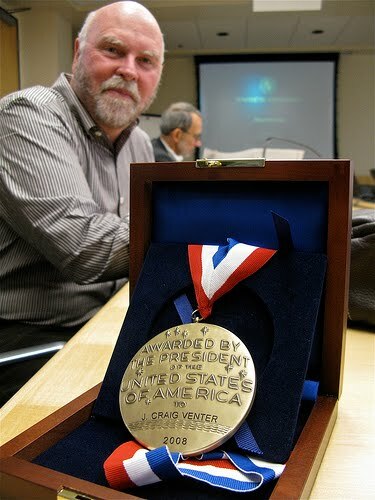 I thought of that attitude when I heard this interview with Craig Venter. Governments are very risk-adverse in funding new programs. 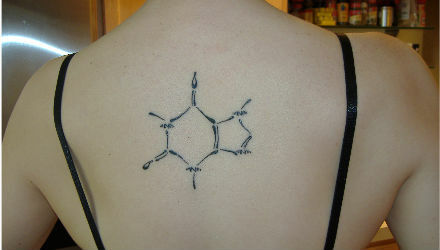 The genome is one of the best examples. ... The irony is people don’t want the government to take risks with their money because they can then consider it’s a bad investment. In fact they’re taking safe bets with the money and we’re not moving forward. So instead of being upset that some programs were funded that didn’t take us anywhere, they should be upset that most of the programs we’re funding have us crawling forward instead of leaping forward. Many government funding agencies, particularly the National Science Foundation, make a big deal about wanting to fund “transformative” research. I can’t help but think that they want to fund transformative research in the same way Hollywood wants to make “original” movies. People are risk averse. They don’t want to lose money. So they try to make safe bets by using some sort of proven material. For films, that means books or plays or games; for science, that means small incremental improvements that have gone through peer-review. A lot of films are made outside Hollywood. There are lots of film festivals where people can show their stuff. In science, though, the number of options to get basic science done outside federal funding seem to be shrinking. This is just one reason I’m so pleased to see BenchFly’s microgrants program off to a good start, with two projects funded in the first round. Picture by jurvetson on Flickr, and used under a Creative Commons license. Bones have probably given us more evidence for evolution than almost anything else. 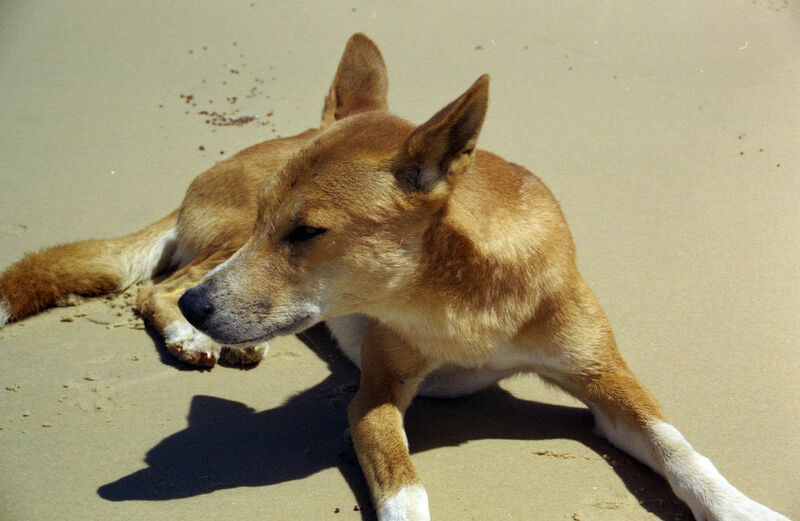 But could bones also pose a problem for evolution? The Times – not the New York Times, the original, singular Times – interviews frequent quotation workhorse for Texas young Earth creationists, dentist and outgoing State Board of Education member, Don McLeroy. McLeroy is saying the same things he usually does, but this time, he actually said something a little more interesting if only because it’s more specific and a little less well-trod than usual. Creationists love asking these rhetorical questions, because they can churn them out quicker than one can answer them. But I am a little surprised to see this particular variation of the question. The last few years, creationists have tended to use the bacterial flagellum when they ask the rhetorical question, “How did it get there?”, since intelligent design made it a cause celebre. But bone? Bone I haven’t seen as a creationist talking point before. I’m a little pleased to see a slightly different example. That the example isn’t one that appears in a FAQ on Talk Origins is almost enough to draw attention away from McLeroy’s first bit of misinformation. In posing the rhetorical question, McLeroy erects a straw man. Evolutionary biology does not predict that bone appeared “all of a sudden.” Evolutionary biology predicts that bones originate from previously existing structures and developmental processes, and that these will become more elaborated over geological time. I went to Google Scholar and typed in “evolutionary origin of bone.” Now, I knew this was going to be a tricky thing to find relevant articles, because I would get a bunch of things about evolutionary origins that are features documented by bones, but probably not about bones themselves. Nevertheless, on the first page, I got three promising hits. Ruben and Bennet (1987) are really concerned about why vertebrate bones are made of they stuff they are: calcium phosphate rather than what almost all the other species of invertebrate animal use, calcium carbonate. They have some very interesting ideas that are related to the notion that calcium phosphate is more stable under pH conditions that are associated with heavy exercise. But it’s not quite getting at origin of bones. 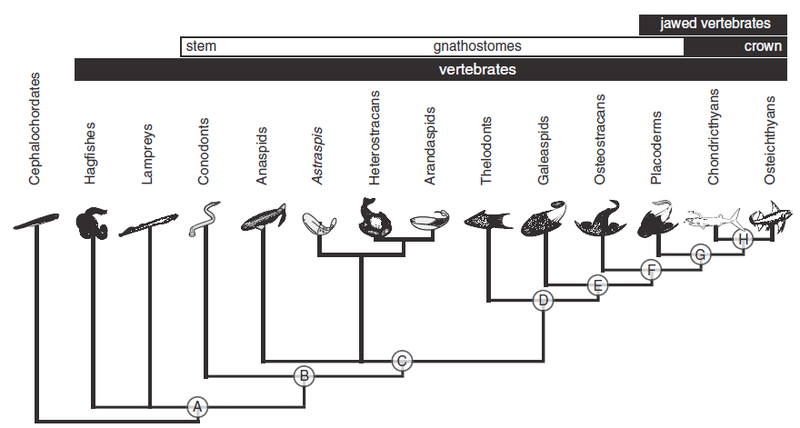 The appearance of epithelial-mesenchymal interactions and the origin of the skeletogenic/odontogenic neural crest at the outset of vertebrate evolution provided the developmental basis for the evolutionary origin of vertebrate skeletogenic and odontogenic tissues and for the appearance and evolution of the vertebrate skeleton. Now, putting aside my own ignorance for a second, it’s pretty clear that this alone starts to dent McLeroy’s claim that we “don’t have a clue.” We do have clues – technical and difficult clues – but clues nonetheless. Finally, I hit the most recent paper of the trio my one Google Scholar search returned by Donaghue and Samson (2002). This, and a later paper by two of the same authors (Donoghue et al. 2006) are the best entry points I’ve found so far. They are both substantive reviews of the origin of the vertebrate skeleton. McLeroy sort of implies that there is a big divide between the boneless and the boned, but that’s not the case. Indeed, the point of the paper is to point out that it might look like there is a massive gap between vertebrates with a mineralized skeleton and those without a mineralized skeleton if you only looked at living organisms. 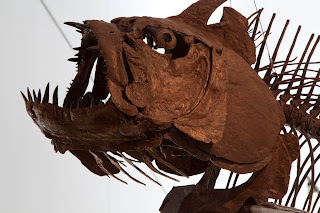 For instance, Donaghue and Samson point out that while current jawless fish don’t have endoskeletons, many in the fossil record do. Much the same is true with chondrichthyans. Today, that group consists of sharks and ray that mainly use cartilage rather than bone, but in the past, many were more skeletonized. The paper extensively reviews the fossil record and looks at the variation of skeletons out there, arguing that the earliest vertebrates had an “entirely unmineralized cartilaginous splanchnocranial endoskeleton.” Now the authors point out here and in a later paper (2006) that vertebrates actually have two kinds of skeleton, which complicates matters in answering questions about the origin of bones. But I am guessing that what McLeroy is getting at with “bone” is mineralization. Using the “related articles” feature from the publisher, I learned – to absolutely no surprise at all – that people are researching the genes involved in mineralization. A family of proteins called secretory calcium-binding phosphoproteins (SCPPs) appear to be critical in mineralizing tissue (Kawasaki and Weiss 2006). And we have plausible evolutionary scenarios for how those genes originated (from an ancestral gene named SPARCL1) and evolved. So even if we were only looking at existing organisms, where the split between vertebrates with and without bony skeletons appears sharper than the fossils show, we have evidence of evolutionary processes the led to the creation of bony skeletons that we have now. As it happens the evolutionists do have answers — but in a fossil record spanning many more billions of years than a literal interpretation of Genesis allows. Given that the reporter probably had a deadline, I can understand why he didn’t take the time to do a more detailed refutation. It took me a good chunk of a day to read a few technical papers and try to bang out this quick summary about bone evolution, which is why these rhetorical questions are so effective. Being incredulous is easier than research. In a sense, McLeroy is right to point out that the evolutionary origin of bones is not a trivial matter. But he’s guilty of poor scholarship (at best) when he says evolutionary biologists are clueless about the origins of bone. Skeleton by zpeckler on Flickr, used under a Creative Commons license. Figure from Donoghue et al. (2006), Figure 1. 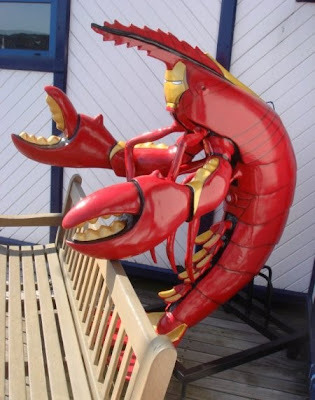 Fellow comic geeks will know that Tony Stark’s alter-ego is, indeed, sometimes called “Shellhead.” Perhaps not as elegant as the Golden Avenger, but more appropriate in this case. More pictures of this astonishing mashup here. I’ve mentioned before that my buddy John Wick made me a supervillain. The latest game to feature the villainous me is now available at DriveThruRPG. 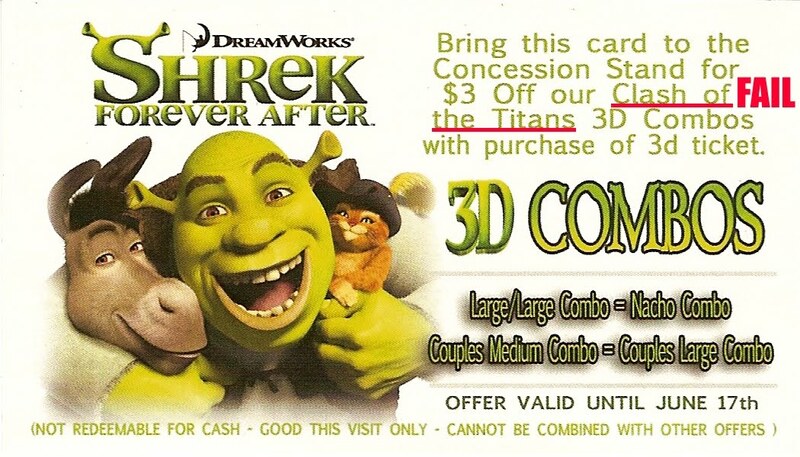 You get a role-playing game for the low price of $5. Come on, you know that fiver would just have bought you a lunch you’d regret later. I’m not trying to turn into NCSE Reports here, but I did want to point out this article in Counterpunch about a Weston, Connecticut teacher who wanted to do a class on evolution. Yeah, you probably know where this is going, don’t you? A teacher with 17 years experience wanted to do a class that featured Abraham Lincoln and Charles Darwin, riffing off the trivial fact that they have the same birthday. This was submitted to the school’s principal, who basically went all Jack Nicolson in A Few Good Men... on behalf of his students, of course. So because the principal can’t figure out a way to do it, it must be impossible. Right? So, teacher quits, school board says teacher has disciplinary problem, and principal tries apologizing for “heat of the moment” comments. A comment on Twitter about PubMed left me wondering aloud why people use the thing instead of Google Scholar. This idle comment brought a surprising amount of comments. Before I get to the comments, let me explain my point of view. I’ve never warmed to PubMed, although I know many of my peers use it multiple times daily. I suppose part of it is the “med” moniker. While PubMed does include a lot of the basic biological literature, it’s still fundamentally a medical resource. And I am not, nor ever will be, a medical researcher. For me, Google Scholar has been the greatest thing since Otto Rohwedder’s invention. * I always found it much more straightforward to search compared to PubMed’s finicky structure, and it was more likely to just give me the PDF reprint. From what I can see, Scholar searches PubMed, so if I like the interface better, and it includes PubMed, why should anyone use it? I have never been in a situation where PubMed was better than Scholar. Scholar doesn't have any drill-down features. That makes doing medication searches a serious PITA. I don’t do medication searches, so this is not an issue for me. Biochembelle noted that PubMed’s functions have improved in the last year. She also commented that with PubMed, she didn’t have to “wade through patents and books.” Perhaps she hadn’t seen the new-ish checkbox on Scholar front page that allows you to skip patents. And that’s perhaps the problem with these services: they’re moving targets. I tried PubMed a few years back and didn’t like it. Others tried Scholar and didn’t like it. But both have moved and changed. An even more recent article found only trivial differences between the two of them. So Scholar users, maybe it’s worth it to go back and give PubMed another shot. PubMed boosters, try playing with Scholar’s new toys. Maybe you opinions will change. Or maybe JATetro is ahead of the game: he preferred the search engine that Falagas and colleagues (2007) found had features that surpassed both PubMed and Scholar: Scopus. Additional: Speaking of moving targets, I see that Google Scholar has just added an email alerting function – I think that just went in today, in fact. * What? You didn’t know the inventor of sliced bread? I’ve been shamelessly self-promoting our recent crustacean nociception paper (Puri & Faulkes 2010). But I’m pleased that other people have noticed it, and even written about it. I’m going to use this post to compile responses; if more links come in, I’ll update this post. How I wish more authors blogged about the background stories of their discoveries! Weirdly, Sci’s post came very shortly before another, completely independent post on the paper that first got my name in the scientific literature (if you look very closely) appeared in The Thoughtful Animal blog. 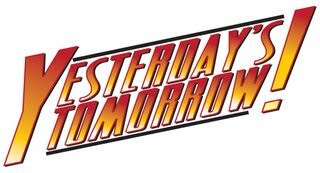 So the same day saw fellow bloggers writing about the very first and very latest things in my scientific career. Which was a very odd coincindence. The Thoughtful Animal was also kind enough to give a plug for the nociception paper under the headings of “Awesome Things, Science and Otherwise.” Right back atcha! Finally, I’m not above plugging this paper on my other blogs. In particular, I used a couple of posters we gave about this research as examples of things to do – and not do! – over at the Better Posters blog. All further discussion of he question of whether science is compatible with religion, and all variants thereof, be tabled until such time as there is a general agreement that the many religions of the world, past and present, are compatible with each other. Soft. Lost his edge. Past his prime. 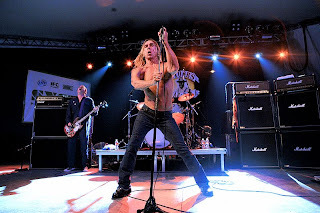 Phrases that have never been applied to Iggy Pop. I’m not bald, I’m not fat, and I’m not safe. I want to be the Iggy Pop of science. Academics are a bit like musicians: They often do their best work when they’re young, and reach a point where they’re often considered to have lost it and not contributing much new. Today, I got back one of the tools I need to help keep me on that target. I got my belt back. Yeah, a belt. Despite my name, I’ve never been very good with non-attachment. I bought this belt – a thick black one with a noisy buckle – when I was doing my Ph.D., and have worn it damn near daily since. Last month, the buckle wore through some on the leather around one of the notches, and I thought I was going to have to replace the belt. But I was able to get just that worn leather replaced, and now it’s almost as good as new. My appreciation of this belt has gone up the last few years. From time to time, I’ve gotten off the rails, health and living wise. You can’t really ignore it when you’re notching the belt up two notches from where you usually have. And I’m pretty damn proud that today, the belt is on the same notch it was on in grad school. And I still have hair on my head. And I’m still working on my goal for the year. When I talk to students about how to pick a graduate program, I usually tell them to find “The guy.” * Find the person who is the best in the world at the kind of research you want to do, and who is a reasonable person for you to work with. Now, “the guy” might be in a place you have never heard of. This, to my way of thinking, should not matter. Grad school is about personal relationships, not bricks and mortar. At least, that’s what I’ve thought. But lately, I’ve had a gnawing worry about whether this is the right strategy. At the undergraduate level, I was disappointed to read how much the average starting salaries differ for university graduates in the United States. As I started to think about the intangible factors that lead to scientific success, I went back to the list of some prominent scientists in an earlier post. Carl Sagan: Pulitzer Prize winning book The Dragons of Eden published in 1978. Degree from University of Chicago, worked for Harvard and Cornell. Stephen Jay Gould: Breakthrough paper on punctuated equilibrium published in 1972. Graduate work at Columbia and worked at Harvard. E.O. Wilson: Breakthrough book Sociobiology: The New Synthesis published in 1975. Degree from, and worked at Harvard. Richard Dawkins: Breakthrough book The Selfish Gene published in 1976. Degrees from, and worked at Oxford. David Attenborough: Major television series Life on Earth debuted in 1979. Degree from Cambridge. David Suzuki: Began as host of The Nature of Things in 1979. Degree from University of Chicago, worked at UBC. Have I been wrong all this time? Should a student looking to go to graduate school just find the most “famous” school they possibly can, and consider who they might work with as an afterthought? * “The guy” might well be a woman. I think “guy” can be almost gender neutral, but tell me if I’m wrong. 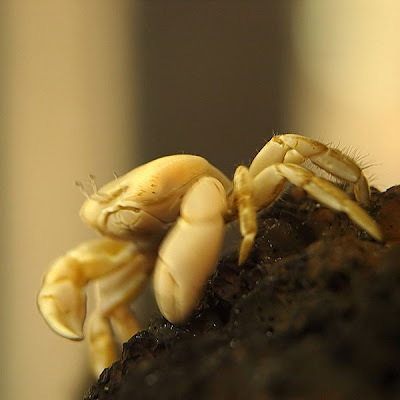 A hydrothermal vent crab (Gandalfus yunohana) that was recently reared for the first time. Photo from Wikimedia Commons, used under a Creative Commons license. 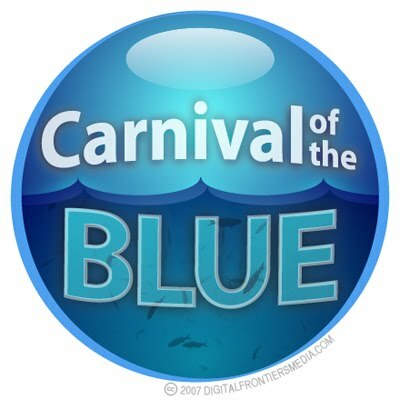 This is the first time I’ve mentioned the Carnival of the Blue, a carnival devoted to writings about the ocean. For some reason, although I write about marine creatures, I guess it was with a little less frequency than some other topics, so haven’t have a contribution in it before. The new Circus of the Spineless is up at Arthropoda. Extra special, because it’s #50. And we love even numbers that are also multiples of five. 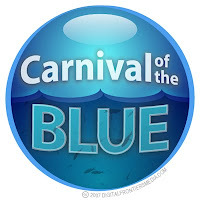 Finally, the Carnival of Evolution is hosted by the Evolution: Education and Outreach blog. I’d particularly pleased to point out this carnival, because next month, I’m hosting Carnival of Evolution right here at NeuroDojo! 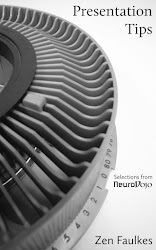 I would particularly like to spotlight any and all posts on the evolution of brains, nervous systems, or behaviour, because that’s kind of the mission statement of this blog. All evolution related posts are welcome as usual, though. Octopuses and other cephalopods have sophisticated nervous systems, granted. I’ve written about their wonderful behaviour several times on this blog. But let’s look at the second half of that statement. “Feel pain as acutely as mammals do.” It sounds plausible, but what’s the evidence supporting it? I don’t know that I see it ever as being plausible that we could say that the pain you're feeling is greater or less than the pain I am feeling. We have crude methods of comparing nociceptive behaviour in very similar kinds of mammals. And even those crude measures give us very good reason to think that not all mammals experience pain to the same degree (see, for example, Park et al. 2008 on naked mole rats), which is an underlying assumption of the quote above. Comparing levels of pain across the broad reaches of the animal kingdom? None that I know of. And given the paper that we just published (Puri & Faulkes 2010), I’ve been looking, trust me. (Octopuses) have stunning learning abilities, but about whom little is known regarding nociception, endogenous opiates, and responses to analgesics. I did find a paper on anesthetics in octopuses (Andrews & Tansey 1981), and those authors speculated that octopuses might have sensory neurons like mammalian nociceptors. An even more recent review (Mather & Anderson 2007) did not mention any physiological evidence for nociceptors in octopus, though providing a variety of behavioural reasons to suspect their presence. Kavaliers (1988) noted that Wells (1978) claimed that there were “pain pathways” in Octopus vulgaris, but I don’t have the book at my fingertips to check what evidence Wells gives to support this claim. To sum up, there are many good reasons to think that octopuses have nociceptors, but almost no experimental evidence. But is there anyone with the technical skills and the inclination to to to get that evidence? Not sure. While great for behavioural experiments, octopuses can be quite tricky animals to work with for detailed neurophysiology. Given that cephalopods do have complex nervous systems, and that this has rightly fueled concerns about appropriate care levels for cephalopods, it may be very difficult for anyone to get permission to do the experiments that might determine if octopuses have nociceptors and what their properties are. The nature of octopus nociceptors would be incredibly interesting from a comparative and evolutionary point of view. Octopuses may have a completely different way of detecting tissue damage than is found in those organisms with a backbone. 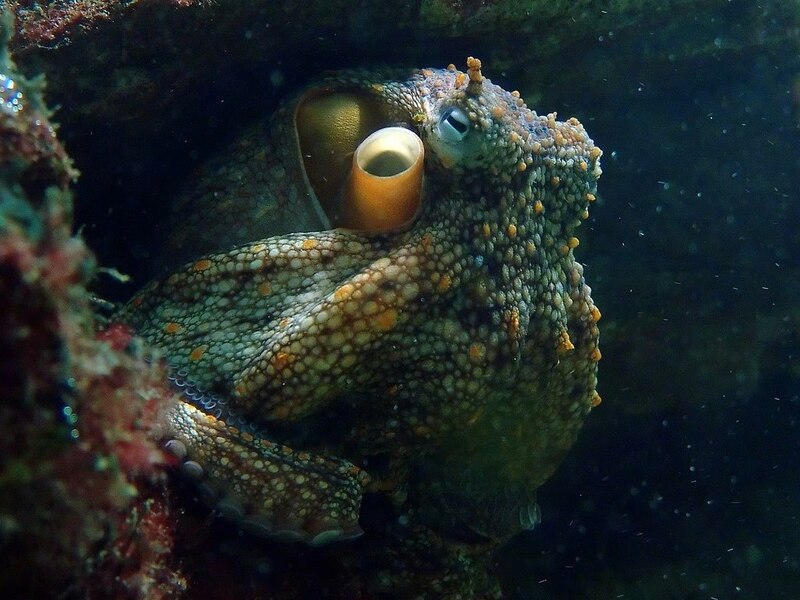 Octopuses always challenge us, because there is no other organism on the planet that so obviously seems to have some kind of intelligence, but housed in an animal that might as well have come from another planet. Update, 29 September 2017: This recent article points out the difficulty in recognizing whether humans are experiencing pain. If there is no “fingerprint for pain” in humans, we’re a long way from any such determination for other animals. Varner G. 2003. How facts matter. In: Armstrong, S. & Botzler, R. G., Animal Ethics Reader, pp. 92-93. London: Routledge. Wells MJ. 1978. Octopus: Physiology and behaviour of an advanced invertebrate. London: Chapman Hall. Photo by Joachim S. Müller on Flickr. Used under a Creative Commons license.